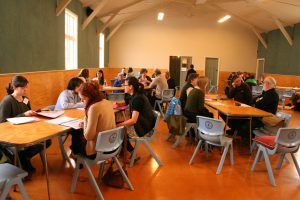 WelCom December 2017: The Archdiocese’s Catholic Social Services have again partnered with the Hutt Valley Benefit Education Service Trust (BEST) to organise a ‘Benefit Impact’ information event. This second Benefit Impact was held at St Bernadette’s Church Hall in Naenae, of Te Awakairangi parish, during the week of 14–17 November 2017. It was timed to lead up to Pope Francis’ first World Day of the Poor, Sunday 19 November.